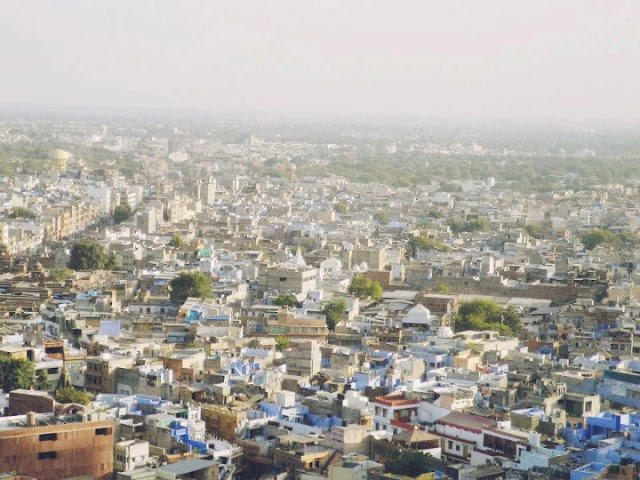 Rajasthan – the second leg of our indian adventure. 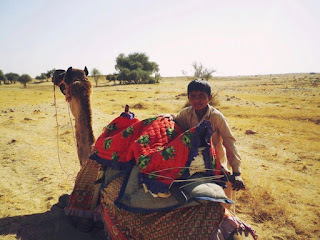 We arrived Jaisalmer after a grueling 11-hour ride in a sleeper class train! they say that one must experience traveling India by train, it was traumatizing for most of us and i won’t even get into full details here. 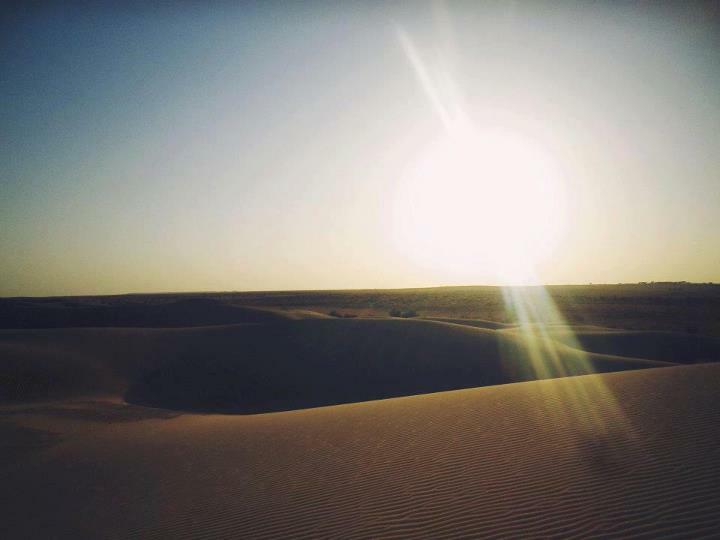 Despite that, our destination, Jaisalmer, the golden city of Thar Desert, made that trip worth it! The medieval fort is a fairy tale sand castle towering over the desert town below. 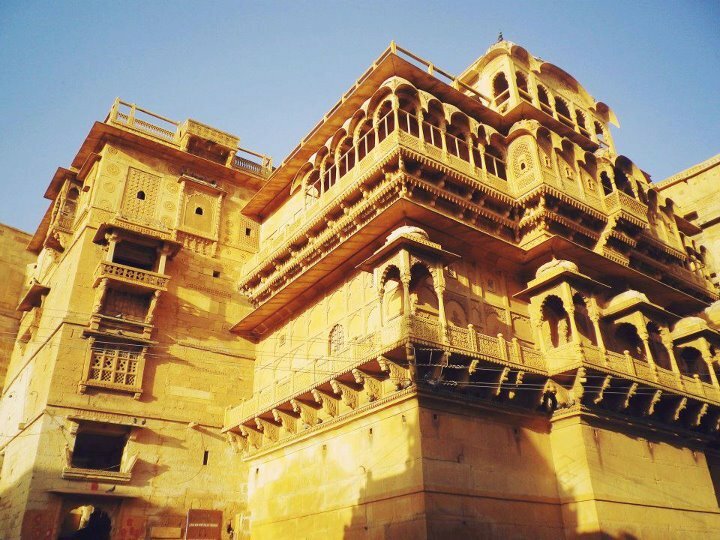 beautifully intricate havelis line narrow streets and the great thar desert is truly a sight to behold! 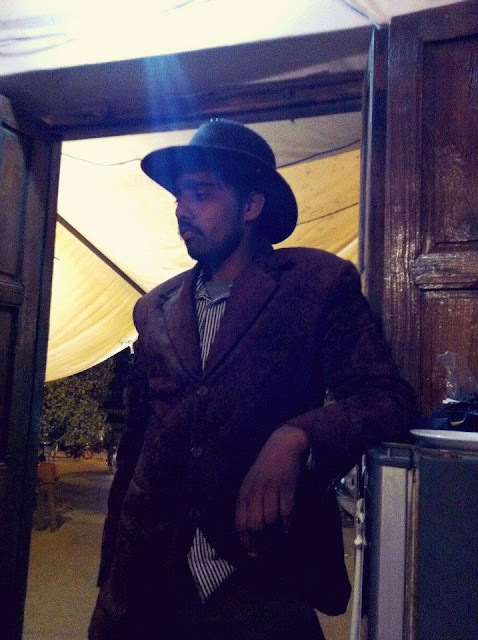 Relaxing at the rooftop of Hotel Pleasant Haveli after that horrifying 11-hour sleeper class train ride! 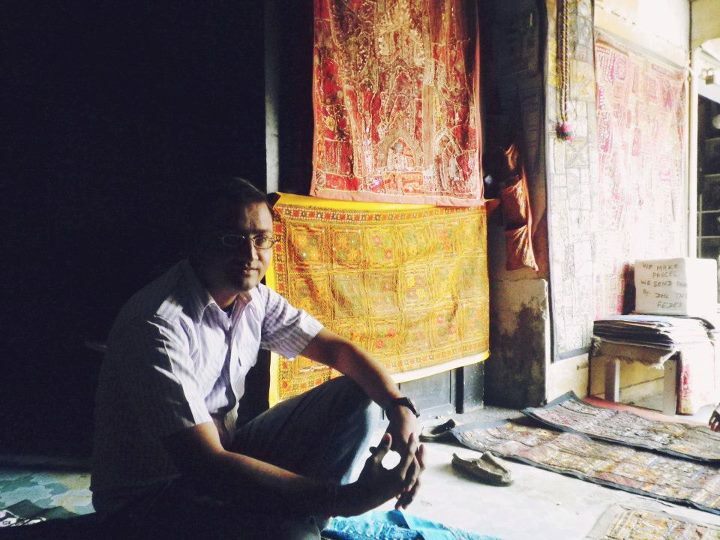 Laxmi, collector and owner of Thar Heritage Museum. Worth the visit! 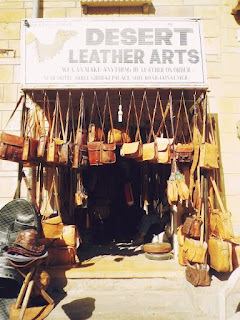 Jaisalmer is a great place to shop for leather goods! Bags, shoes, wallets, hats in different shades of brown and tan make great inexpensive purchases and gifts for family and friends. 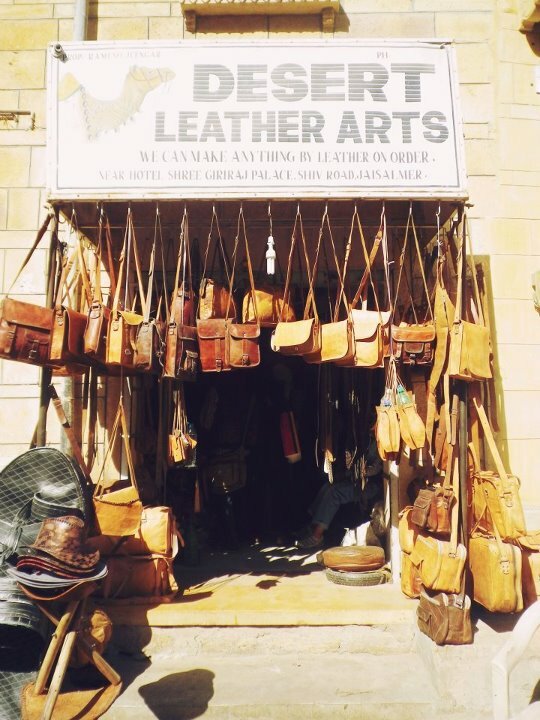 They say that leather used in making all those products came from dead camels… we only wish that was really true! This Lassi Shop, formerly known as the Bhang Shop was featured in Anthony Bourdain’s show, No Reservations. Spiked with a bit of Bhang! 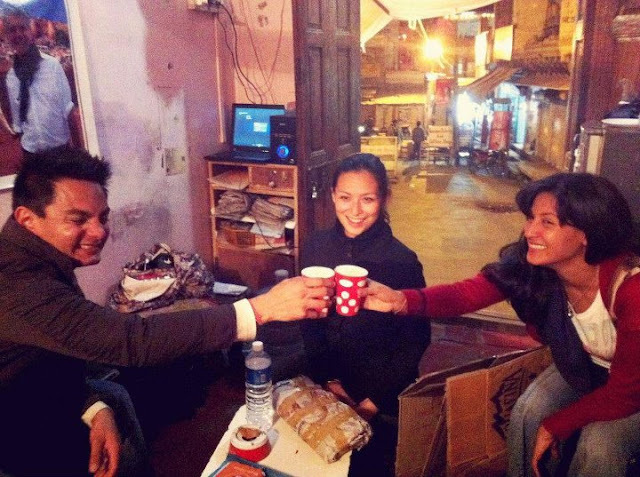 Cheers to India! 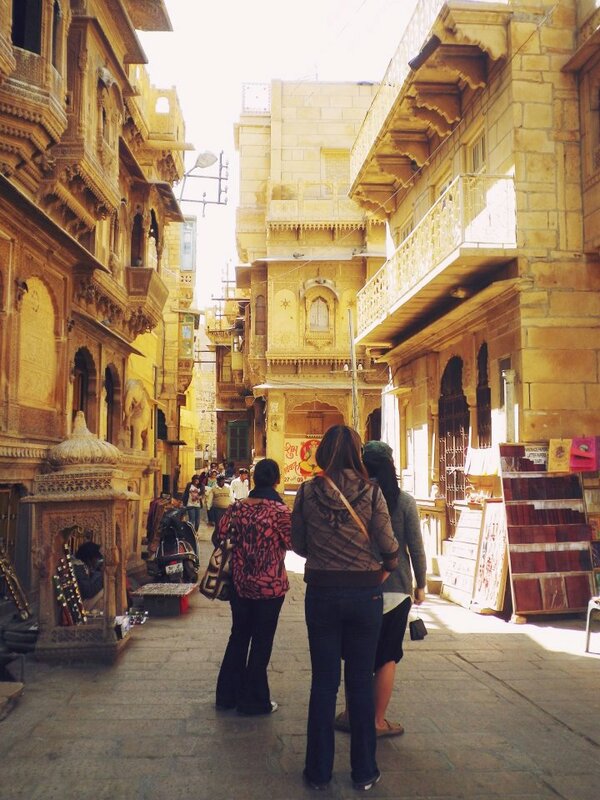 Wandering through the alleys of Jaisalmer, lined with beautiful havelis. 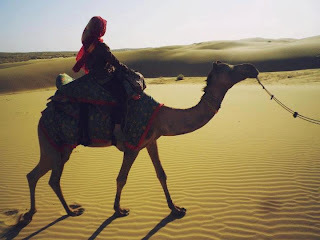 Camel safari at the Thar Desert! Absolutely breath-taking! 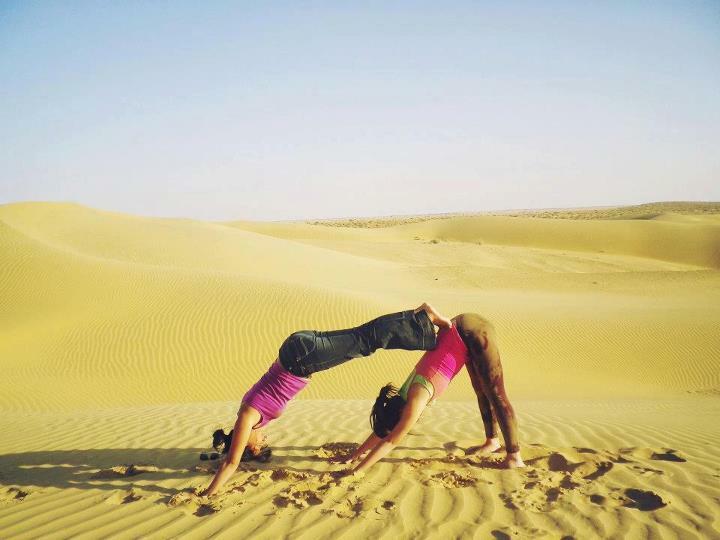 Monica and Denise doing Acro Yoga in the dunes. Papu owns Trotters Desert Safari, where we booked our camel safari and desert tour. We instantly connected and bonded with him while waiting for sunset in the dessert. He told us about his story, how he started as a camel boy and how he worked his way up to having businesses of his own. He has friends all over the world and has travelled to Europe and is planning a trip to Japan! He’s only 29 years old yet has accomplished and gone thru a lot in life. Such an inspiring story. We stayed til sunset… beauty isn’t it? 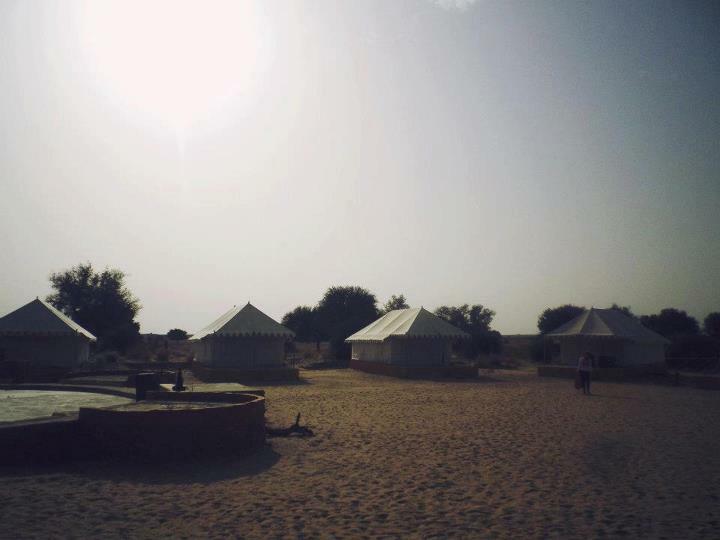 Papu also owns Damodra Desert Camp, glamping in the desert! Ok well, it’s not so glam, but way better than a normal tent! 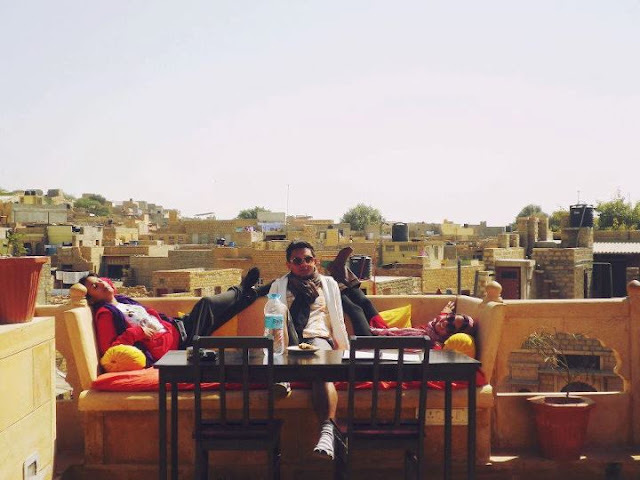 He invited us to stay here for our last night in Jaisalmer. We had a traditional Rajasthani meal for dinner over bonfire. Rooms were clean with toilet and bath! 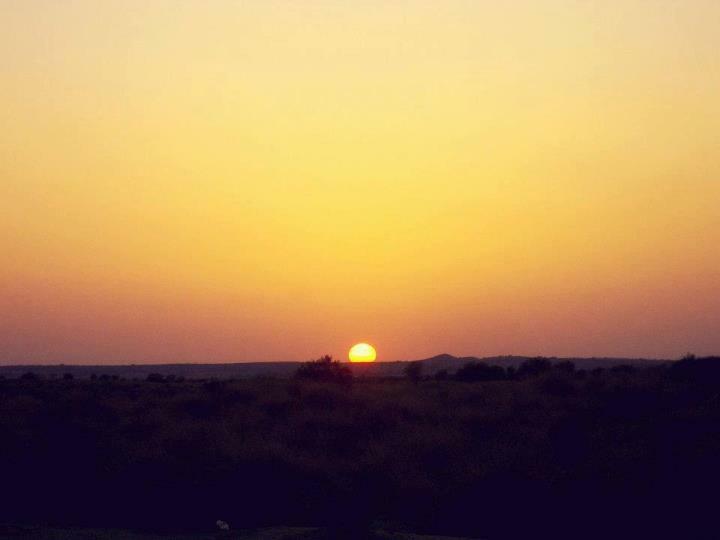 On the road to Jodhpur! 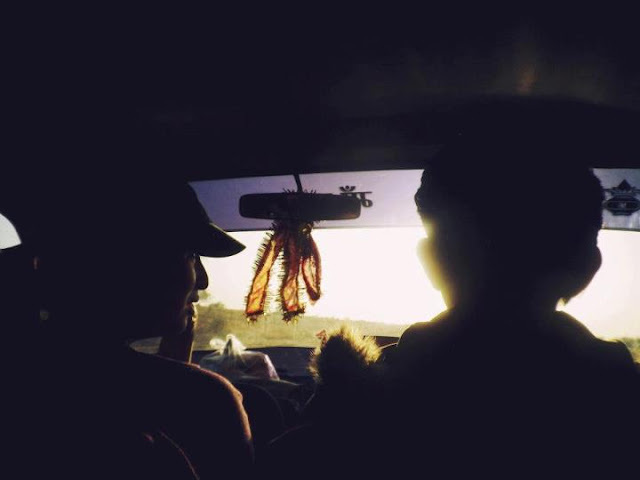 It was so kind of Papu to drive all of us all the way there! View of Jodhpur, the blue city. Hotel Pleasant Haveli, Chainpura Street, Gandhi Chowk, Jaisalmer. Newly renovated haveli-style guesthouse with immaculately clean and comfortable rooms. The rooftop restaurant has got magnificent views of the fort and the staff are very hospitable and accommodating. 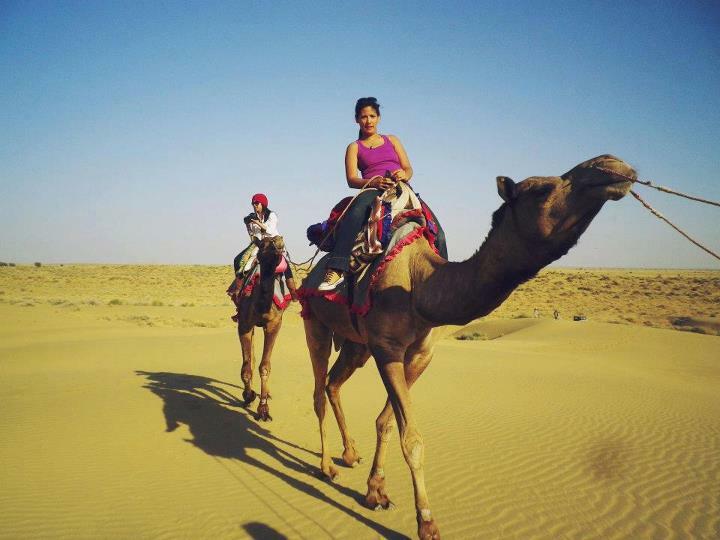 Trotters Desert Safari Tour, Gopa Chowk, near Lassi Shop (Bhang Shop), Jaisalmer. The Thar Desert is a must see when in Jaisalmer and trotters offers an unforgettable magical camel safari adventure! We opted for a day tour and watched the sunset, sitting on the dunes while sipping a cup of hot chai tea followed by a rajasthani dinner at the nearby damodra desert camp. Jaisal Italy, 1st gate of Fort, Jaisalmer. 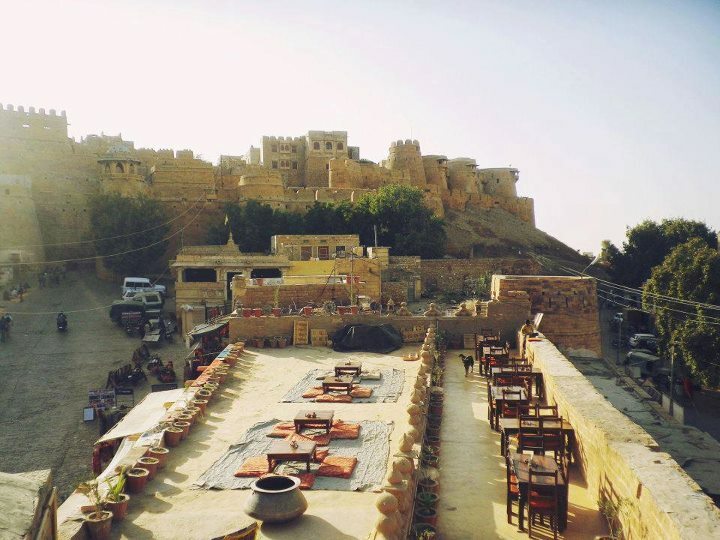 This rooftop restaurant offers spectacular views of the fort. if you need a break from indian food, this is a good place to go, although don’t expect authentic italian food here. 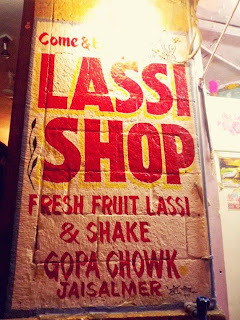 Lassi Shop (formerly Bhang Shop), outside fort gate, near police station & Trotter Desert Safari Tour, Jaisalmer. 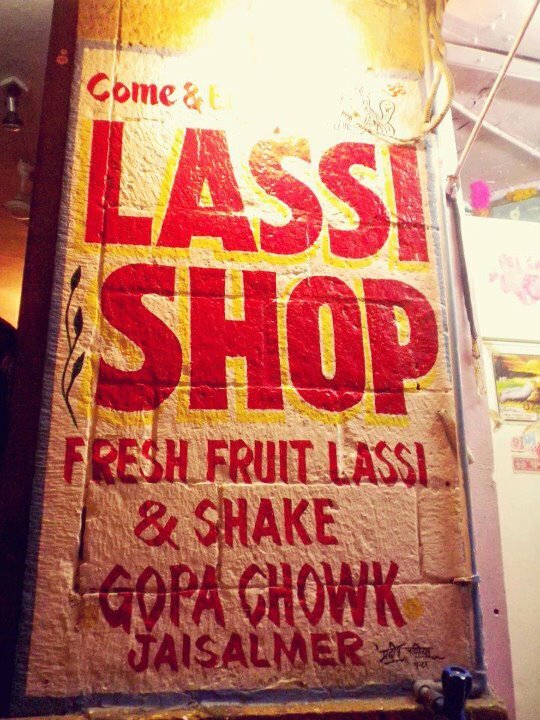 Hole in a wall shop serving regular lassi drinks as well as lassis and cookies laced with bhang. This shop was also featured at Anthony Bourdain’s show, No Reservations. 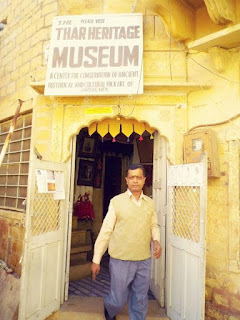 Thar Heritage Museum, near Bhatia News Agency, Gandhi Chowk, Jaisalmer. 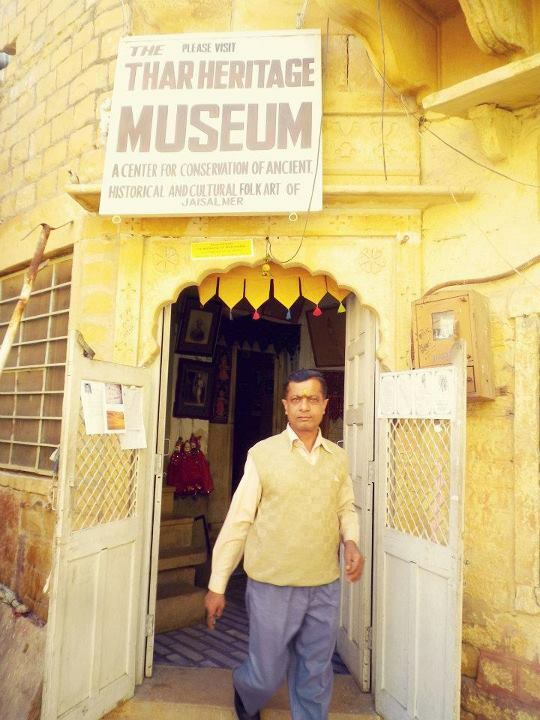 This museum houses an impressive collection of rajasthani artifacts, handicrafts, clothing, houseware, artworks, etc. 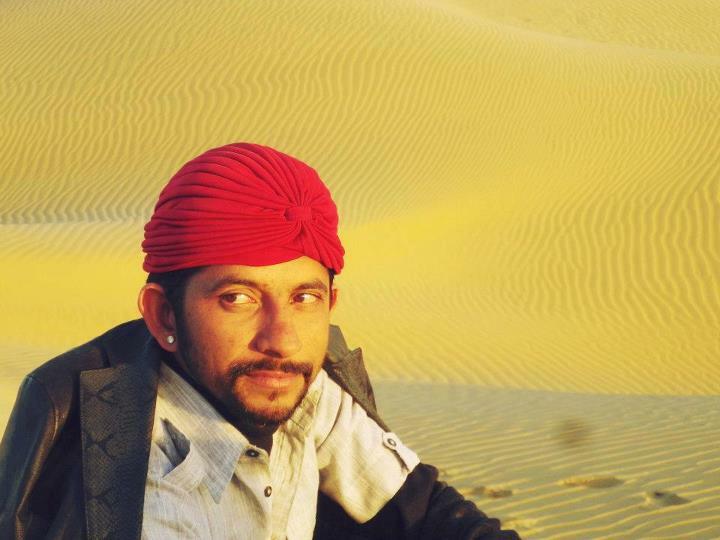 Laxmi, the owner, gave us a little tour and told us stories about the history of jaisalmer. Damodra Desert Camp, Thar Desert 30km west of Jaisalmer. Papu, the owner of trotters desert safari tour also runs this desert camp and he was kind enough to offer us an overnight stay for free! We watched the sunset at a little dune beside the camp then had rajasthani food for dinner around a bonfire. Thick wool blankets kept us warm and cozy while we smoked shisha and drank some indian rum! The tent has got a large, comfortable bed and a spacious bathroom with western toilet and shower. The staff were also very friendly and hospitable, and treated us like maharanis!